Would you like to make $5,000 in a week online? Would you like to get to the city where you've wanted to go for years ALL expenses paid with some super-amazing people? If you answered "Yes!" to either one of those questions, read this article until the end carefully. I achieved those 2 things so I have some tips now to share with you. This story will inspire you no matter your current level. This is going to teach you important lessons about building your online business. You are free to share this with anyone who is interested in making money online. My Story From $0 to $5,000 in a Week Record - My Background And What You Can Learn From It? My Story To Vegas - How I Struggled But Eventually Made It Easily? What Do YOU Want to Achieve in 2019? - I'll Give You 1 Important Task That You Must Do IMMEDIATELY If You Want to Make It in 2019. When I grew up, I was told that €2,000/month (around $2,250) is a high income. Well, that's obviously not true especially in my home country Finland where the median salary is around €3,000/month. That illustrates that I didn't grew up in a rich or even in a middle class family. I thought that those who were earning $4,000-5,000/month are very rich people. I grew up with a "frugal" mindset that I also explained in one of my previous blog post "Every $1 You Invest in WA Brings You $100 in Return"
It's also a PROOF that you don't need a fast Internet connection or a fancy laptop to make money online. When I joined Wealthy Affiliate, I was quite skeptical. I thought that pretty much all "Make Money Online" programs are scams. I didn't know anyone who would have made a living online (despite from those who made money with online poker but my values are against gambling). So, I obviously had a lot of doubts when I started here. Can I really make a living online like they teach? Anyway despite my doubts I had some hope in my mind and I wrote down on my notebook 2 goals. I want to make €1,500/month passive income online. I want to make it to Vegas in 2020. And I thought that these were very ambitous goals! I thought that if I'd ever in my wildest dreams make €1,500/month passive income online, I'd be extremely happy. However, after I saw that real and ordinary people on WA are making much more money than that, I also set my goals higher. Now I've made $5,000 in a week and made it to Vegas in 2019. Lesson learned: Set your goals much higher. I made recently $5,000 in a week and it's literally amazing considering my background where I was taught that $2,200/month is a big income. However, now I see people online making $125,000 in a single day or even $1,000,000 in a day, I notice that I haven't reached even the beginning of my potential. If you are a beginner and wondering, "Are those numbers even real? What if they are just lying?" They are real. I know some people personally who have made such an income online. I will also reach $1,000,000 in a day level in the future. Notice that I say that "I will", not "I want" because I am certain about it. Yes, it may take some time but as long as I'll have life and the world doesn't end, I'm going to make it one day. Notice the change in my goal setting: From €1,500/month to $1,000,000 in a day goal. Of course, that $1,000,000 in a day is not close yet. It's far away. But that's also exactly how I felt when I wrote down my goal, "I want to make €1,500/month online". There's also my piece of advice to you: Believe that you can reach your goals and you most likely will. Person A doesn't believe that the Wealthy Affiliate training works and he could make money online. Person B is 100% convinced that the Wealthy Affiliate training works and he is sure that he will reach his income goals. Who is more likely to actually go through the training, take action and reach big things? How I Made $5,000 in a Week Online? Most of the earnings were made through the Black Friday promotions. Black Friday is probably the best day of the year for affiliate marketers so then you're going to make nice earnings. $5,000/week is not (yet) my typical week but I'll surely achieve that level in the future and much, much more. That's also 110% possible to you and literally anyone who is reading this. Most of the work is always done beforehand when you make money online. So, when I made $5,000 in a week, I didn't even work that hard. I don't go into more details on how you should pick a niche, write content, add affiliate links, etc. etc. because there are already tons of those articles here. In addition, when you follow Kyle's step-by-step training and go through all 5 levels, you are already ahead of +95% of the people. I'd rather focus on the mindset thing here because I think it's even more important than the technical details. The most respected coach in the world, Tony Robbins and pretty much ALL the other coaches in the world say, "Success is 80% psychology and only 20% strategy." When you get your mind right, you'll get everything else right. So, read further because I share with you 1 BIG MISTAKE that held me back and how you can avoid it. Invited to Las Vegas 2019 - WA Conference: "Comeback Story"
If you are new to Wealthy Affiliate and haven't heard of the WA Las Vegas conference, I recommend reading this post by Kyle (he's the founder of WA). However, the requirement is that you must make 300 new WA sales in a calendar year or 100 new sales between September and December. In August 2017, I made 13 new sales and I calculated that I would have nice chances to make it to Vegas in that year. Maybe just 20 - 25 - 25 - 30 sales per months and it would be 100! In August 2018, I made 15 new sales. Can you imagine? It's only 2 sales more than in a previous year and I started doubting that if I'll even make it at all. Why did I progress only from 13 to 15 in a year? "Life got in the way." That's the most common reason and excuse for everything. It covers all the reasons itself. Have you ever heard that phrase? During the year, I focused on cryptocurrencies, traveling the world and exploring new places, building a relationship with my girlfriend (who is now an ex-girlfriend by the way), etc. etc. Many things got in the way but the only person that should be "blamed" for the lack of progress was the man in the mirror (=myself). Obviously, I had too many priorities and it didn't seem to work so well. Once I started focusing on WA sales again and made it a big priority to make it to Vegas, I can say that it happened actually quite easily this year. Lesson learned: If you want to achieve something, make it your #1 priority and you'll most likely achieve it even more easily than what you believe. My original goal was to reach Vegas in 2020 (I didn't truly even believe it would be possible). When I started achieving results, my new goal was to make it to Vegas in 2018 (That I didn't achieve). Eventually, I made it to Vegas in 2019 (Made the sales this year but the conference is held in January 2019). I am obviously happy for this achievement. That being said, I knew that I could have achieved much more in this year 2018 but as I explained above "Life got in the way" (the most common excuse, lol). I don't stay here regretting that I could have achieved more because now it's time to look at 2019! Let's Look at the Future - What Do YOU Want? Now it's time to look at 2019 and ask yourself, "What do you want to achieve in the coming year? What are the goals that you are ABSOLUTELY COMMITTED to achieve in 2019?" If you initially planned to reach $2,000/month passive income online in 2019, why not to set it higher like $5,000/month or even $10,000/month online? If you initially planned to help just 100 people, why not to set a goal to help 1,000 people? If you initially planned to get 100 visitors per day to your website, why not to set a goal to get 1,000 visitors per day to your site? You can achieve much more than you think if you're willing to work for it. Those are just a few examples. Do you remember how low I had set my goals initially? Imagine if I would written down when I got started, "I want to make $15,000/month (instead of just $1,500) passive income online." I guess I would have taken much more action especially at the beginning. I learned this lesson in 2018 hard time. Don't spread yourself too thin and make yourself clear what is the most important goal for you. But what is #1 goal that is "Must-to-reach" in 2019? Remember that when I made WA Vegas Conferecne a priority, I reached it relatively easily. But I didn't reach it back then when I was focusing on 1 million other things and thinking, "Well, I'll make it anyway. I'll just add a few more goals here and there." I need to give a shoutout to my friend Jerry. I learned from his example and posts that setting crystal clear goals is very important for getting results. If you haven't yet, I recommend bookmarking his profile and checking out some of his amazing blog posts. Reading his inspirational posts is like injecting motivation into your veins! Whether or not you ahieve your goal, it depends only on 1 person. Now I hear some people saying, "Yes, Roope BUT my father didn't believe in me... BUT my wife distracts me... But I still need to take care of my kids..."
Let me tell you. If you want, you can always find a good excuse but then you're never going to reach your highest goals. Yes, you may need other people's help. Yes, you may need to read some books. Yes, you may need to attend conferences and learn from others. Yes, you may need to agree something with your family. But whether or not you achideve your goals, it only depends on you. Now you say, "Well Roope, but you are from Finland. It's much easier than from Bangladesh!" But I am 110% sure that there are 1,000's of examples from every single country in the world people coming "from nothing to something". There are 1,000,000's of people who completely transformed their lifes. You can become one of them. Now the last excuse may be, "Yes, yes Roope. I know that. But do you know what? It's so much easier said than done. It's easy for you to just to talk here." Yes, talking is always easier than doing, you are right. But I am not just talking here to you. I am also talking to myself. I will apply all these principles to my own life as well. I go through rigorously these principles when setting my own goals for 2019. That's why I challenge to you as well. My #1 task for You to Do IMMEDIATELY!!! So that this would not only be theory for you but you'd also start IMMEDIATELY taking action, I challenge you right now. Write down your #1 goal for 2019 now. So that you can immediately start working on that goal and making it a reality in 2019. While others start working on their dreams on the 6th of January after holidays, you start today and on the 6th of January you are 1 month ahead of them! I've just wrote down my #1 goal for 2019. Have you written yours? 1. Share your goal with us in the comments below. 2. Leave a comment and let us know what you think about the topics of this post. You don't need to share your goal publicly if you don't want but the most important thing is that you have a goal for yourself. Keep the goal and review it daily. Now SHARE THIS POST WITH ANYONE WHO IS INTERESTED IN MAKING MONEY ONLINE. If 1 person happens to join through your link, goes premium on Wealthy Affiliate and stays here for 10 years as a yearly premium, you just made $1,750 by sharing this to 1 person. Learn more on Affiliate Bootcamp. PS. Do you want to transform your life in 2019? I will focus on one social Media this year that s all. I will make sure I cam compete for las Vegas in four years by now . what s do you think Roope? Yeah, focus on 1 social media sounds like a great idea! I will need to do some more training...sleuthing...any suggestions to increase traffic that are willing to commit to purchasing? The key to traffic lies in the training given and which you should follow to the letter. WA offers you SEO and keyword management just to get your clicks in. Congratulations Roope. You are indeed an inspiration, and also have proven to me that not only can you succeed yourself, but also that you can be a true friend to others in helping when needed. My goals for 2019 are already set and even at the ripe old age of 82, I will not be denied, no matter how much work it takes! Thank you so much Roland. It has been great connecting with you here! Awesome to hear that your goals for 2019 are set! Thank you for bringing me here! Thank you also for this wonderful blog. Awesome ideas and all the best encouragement to start just now, not until the new year starts. I agree that you just must have your goals. So you can better achieve more in your life. Great job and you will certainly have brilliant time there in Las Vegas! Great that you've got started here! I'm excited to seeing your progress here. Take consistent action every day and I'm sure you'll succeed. Thank you for this post-Roope. I wrote a post on "Procrastination" not long ago: Procrastination That is my greatest obstacle, not to mention my day job, which by the way WA will replace one day. My goal when I wrote that post was to engage more with this community and learn from other posts. Your post has added to my motivation. Yeah, I think that the Procrastination is a challenge for everyone. They say that Procrastination means that something is not meaningful important enough to you. If something is important enough, we wouldn't procrastinate. So I think that the key is to find a good enough reason so we start taking action immediately. Oh man, this is the motivation I needed. I've been reading your posts throughout the year and they have been inspiring to me. I've been going through some similar things in my life and it has unfortunately kept me from working on my websites they way I wanted to, but I refuse to give up and I want to see success. Your desire became so strong to reach your number 1 goal and you did what was necessary to reach it and you even said it was far easier to do it then what you previously thought. Isn't that amazing though? We often put up physical as well as mental barriers that keep us from reaching our goals and say that this is much harder than what you expected and in reality, we are the ones making it harder. So happy to hear about your success and that you made it to Vegas and is just more proof that anyone here can succeed if they have the will and desire to take consistent action and put into practice what is taught in the training. Yeah, I feel that consistency and just constantly moving forward and learning new things is the key to success in anything in life. Thank you for an absolutely fantastic and inspiring blog post Roope and huge congratulations on your success! You have made some really good points here, it is so important to have goals, if we don't have goals, nothing really happens. My goal is to be at Vegas in 2020, I look forward to meeting you there Roope. Have a great day and enjoy your Vegas trip. What about the ladyboy in the mirror? haha! Fabulous, and highly inspiring post. Thank for creating this and sharing it bro!. We find inspiration and energy from and in all places, from relationship break up to...well, a post and video training on WA by a prominent Ambassador saying "470 post is what it takes" and "Vegas in a Year is Impossible". I'm kind that responds well to challenges like that and REALLY big goals! The tougher the better, harder I will work to do it!. I will see you in Vegas 2020, but I won't be "rubbing" shoulders with elite marketers..more pulling funny faces at the person who said "Vegas in one year is impossible!" . Congrats on the pretty amazing week and making Vegas! Haha! Ladyboy in a mirror may be some people's problem in Asia for sure. Derek, I am 100% sure that you can make it to Vegas with such a determination! I'm also excited for your upcoming website project! I am kinda scared to of the Third gender going on over here!. Thanks Roope for this wonderful post. Every now and then we all need a little (sometimes a lot) of external motivation. Setting a meaningful goal that you are passionate about is absolutely the #1 priority in developing any successful business. Not sure where the “Las Vegas” will be next year, We will see you there. Thank you for sharing great thoughts Rob & Michelle! I can relate to so much in this post. my biggest excuse is family and general life "getting in the way" of my ambitions. we all need to make it happen. I'm not stopping until I get there, that for sure. thanks again and big congrats from the UK. Thank you my friend from UK. I'm going to visit in London at least 2 times next year. In VidCon and in Tony Robbins UPW. It's gonna be my first time in your country. I think that what helped me was moving away from my hometown. It helped me to break free from the old mindset and surroundings. When I visited there again later, I was surprised that many people were stuck in the same place were they were when I left. Some people change and improve but there are many people who just stay at the same place year after year. Per your insistence, I wrote down my goal for 2019. I taped it on my computer. Tomorrow, I will write it down again and tape that copy on my lap top. The next day, I will write it down again and maybe hang it on the refrigerator. So on... I will follow your advise. Awesome Sondra! By doing that you'll stay reminded of your goal constantly and it will become part of yourself. Then you'll eventually reach it. Thanks for such a inspirating post! Personally for me, I just give too many excuses for not making my no 1 goal my first priority. For 2019 - I have set up a goal to help 1,000 people and earn 100,000. It is my dream to get out of the 9-5 grid life that I absolutely hate. Then you have a good motivator my friend Shobhana. Getting rid of the job you hate and having the freedom to choose how you use your time is one of the greatest feeling I think. After reading your post I realised that my #1 goal for 2018 was rather low, so for 2019 I am setting it up to $5000 a month, recurring, and bookmarking your post with a reminder to come back here next year at this time, after sharing it as you suggested. Cheers, and see you again next year, if not before! Coming back here next year sounds good. But how about coming back here next week and the next week and the next week... This is a post I want to read many times from now on! Best greetings to you John to South France! I've once visited in Montpellier and its surroundings. It's a beautiful place! All the best to reaching your goals! Thank you Steve. I really appreciate it! Roope, this is a very inspiring post. You worked hard and all your hard work paid off. Awesome job! I have set my goals for 2019. My goal last year was to make it to Vegas, but, I fell of the map. No more excuses and nothing will get in my way this time. For 2019, I will have 30k visitors per month and be making $4375. I will also attend Vegas. Thank you, for sharing this post and I will be glad to share this post with others. I wish you continued success and keep crushing it. Great thoughts Kisha, thank you for sharing! You're right that the power of example is the biggest thing with kids. I don't have own kids (yet) but at some point I worked in the kindergarten and my niece grew up 2 years with me so I've seen that they 'mimic' everything. I really like your attitude....positive....the glass is half full! Many people make the mistake of reaching a goal and then resting on their laurels. They get caught up in patting themselves on the back. You, however, managed to reach one of your goals and then turn around and set another, more lofty goal. Thank you for sharing you journey, thus far, with us! As one of my Christian mentors always said, "Roope, you can always grow BITTER or BETTER. The choice is yours." Ill be honest I was thinking about you the other day and wondering how close you were to making it to Vegas.... but I guess I have my answer now. I have already set my #1 goal for 2019 and will not let life get in the way like you said. Because even though I feel like I’ve done pretty good so far in my business this year — I feel I can do A LOT better in the next, and so will. I share the same feelings with you regarding this, "Because even though I feel like I’ve done pretty good so far in my business this year — I feel I can do A LOT better in the next, and so will." Let's crush it in 2019! What a story you have written. Thank you for sharing how you grew up. I'm a little frugal myself. When I first joined a year ago I had no laptop or tablet. I purchased a refurbished MAC and it is still working today. Our internet is the only internet available where I live and is just above dial up. I agree with setting goals and committing to them. This is the time of year where we are probably already setting goals for 2019. The difference is, we need to keep those goals and commit to them. If we do then we better our chances of reaching them. Life gets in the way for a lot of us. It is up to us to be able to still put some time in, to reaching those goals. If not, you end up giving up. The goals are never reached. The work that you put into them was for nothing. The key is to believe in yourself, and in WA as you stated. WA wil get us to where we want to be. It isn't going to do it on its own though. We have to do what it is showing us and teaching us. Commitment, dedication, and write, write, write and write some more. Thank you for this story and for your inspiration. Commitment is a key to all success. Many people are interested in achieving all kinds of things. But very few are truly committed. I've also noticed in my own life that true 100% commitment requires real effort. Congratulations Roope! Thanks for sharing, this is definitely inspiring and so very true that it's all up to what we do or don't do on whether we succeed at something or not. Anyways, it's great to hear you've made it to Vegas, keep up the awesome job! Tahnk you Sherry! Exciting to see what happens in the next year. Hi Roope, Goals always VIP to declare. This time of the year most appealing to everyone. Like new years resolutions that fade after a while, this is real life talk. Thank you. And goals are so so crytical to one's success. They say if you don't know where you're going, you will end up some place else. That's true. Goals are so crucial for success and achievement. It seems so basic but it's still funny that probably +90% of people don't do it. Congrats on your inspiring success, Roope! And, I so agree with you about mindset and goals. You're spot on with that and it makes all the difference to effort and outcome. Thanks for sharing your story in this well-written post. I know it will help many people. That's a great goal. It's very ambitious but there are people who have made it. May as well aim high hey? Even if I only get half way there it will be a good start. And who knows - maybe I'll get there and another half! It's a crazy world! Thanks. I've followed you so I can continue to watch as you get to $5k a day as your regular number! ROOPE! I WANT TO RUB YOUR SHOULDER! Most inspiring...and definitely most true. As me ex Platoon Commander once says " If you want to make it out alive from the war, you gotta kill all the enemies....like Rambo." And I was a skinny 18 yr old then. Set your goals higher than high and you'll get out alive. Actually, I'm thinking that I must take a quick video actually 'Rubbing' shoulders with other WA members there and post it on my YouTube channel. My only goal is to make it for Las Vegas 2020. It is nothing medical (lol) - it is just I tend to be distracted big time. Thank you Roope for great Article. Whaal! Well done Roope. l still remember when you were getting started and you had 100 posts but a trickle of traffic. Perseverance and hard work pays. Really? Do you remember? :D Great to hear that. Congratulations on your amazing success and for making it to Vegas 2019. Your story is really an inspiring one. It goes to show if you make the effort, the results will follow. And, yes...'life getting in the way'...happens all the time, doesn't it? It's so easy to say and fall for it. I think we all do it at some point, but what is great in your case, you learned something from that situation and turned it around to work for you in the end. I admire that very much. My goals for next year have started this September - I was going to wait to start my Bootcamp site in January but thought exactly what you said - if I start it now, I'll be months ahead. Now, I'm very glad I did that. There are masses of work to be done on that site, but I'm about to publish my 50th post, so it's getting there slowly. And, of course, making it to Vegas in 2020!!! Wishing you all the best with your 2019. goals. Wow amazing to hear about you Alenka! 50 posts is already a lot and there are more to come! :) Currently I have around 600 posts on the site but there are also many that don't drive any traffic. 600! Wow! My head's spinning just thinking about such a high number of posts. That is so cool. Congrats and really happy for you. Thanks for the inspiring and motivating post. I pasted my goals for 2019 in the wall on top of my computer. I need to take action and thanks again for the great post. That's a good idea! I'll find out how to do the same so I'll stay reminded about my goals. Thanks Jim! Great goal! I'm sure you'll make it if you work on it enough. Great to have you here my friend! Thank you Vicki! All the best to you! Awesome Moses! Keep on moving forward and go through the training! Happy to hear you found it inspiring! 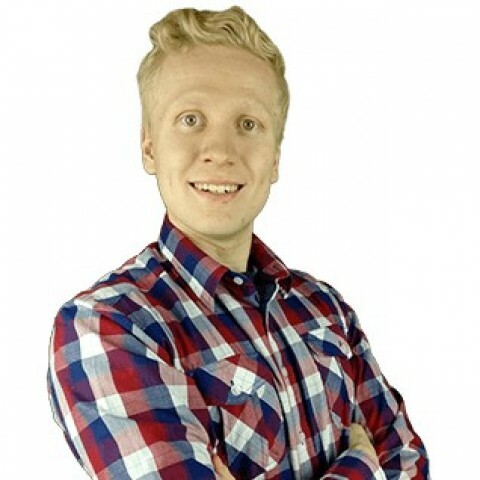 Great blog Roope and congrats on your $5000 week, very inspirational. I still have to work on all the short and mid term goals and deadlines and find some pretty elaborate ideas to go with them to bring it all to fruition but I know those will come. Awesome! I'm inspired by your goals! Congrats Roope! I knew you would make it! Unfortunately I wasn't as dedicated as you were during the past twelve months and I did many mistakes. But I also learned a lot and I started recently giving more dedication and taking planned actions. My goal is to join you guys in the next Vegas 2020 and getting at least $6000+ per month by the end of 2019. Keep going and keep updating us as this is the best motivation! I know you can make it. Would love to meet you in Vegas in 2020! Then let your next goal be to get the Bentley ride. Why not?! Do NOT Live in the US!